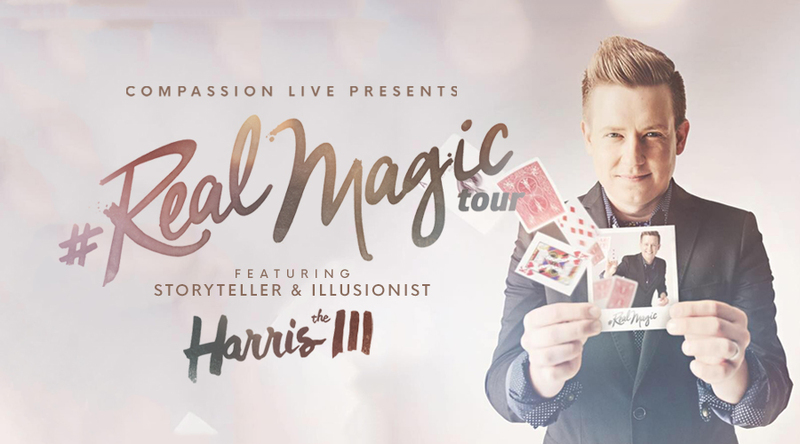 Compassion LIVE brings you the Real Magic Tour featuring master illusionist and storyteller, Harris III. 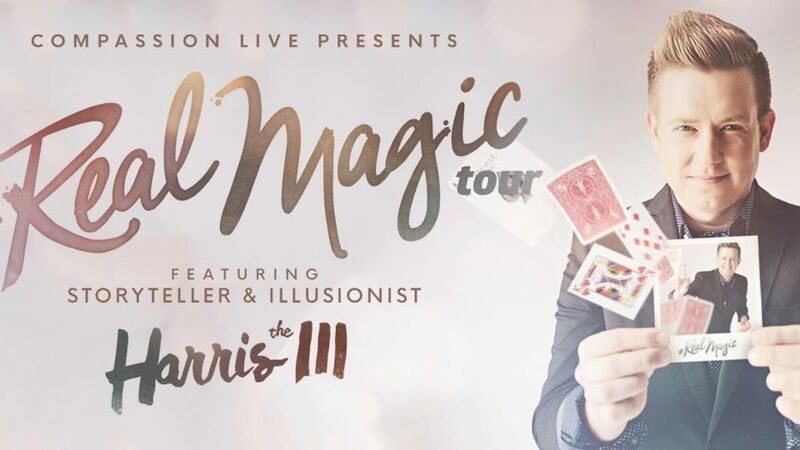 You’ll discover the wonder of the unexpected as Harris III takes you and your family on a journey of real magic through amazing illusions. 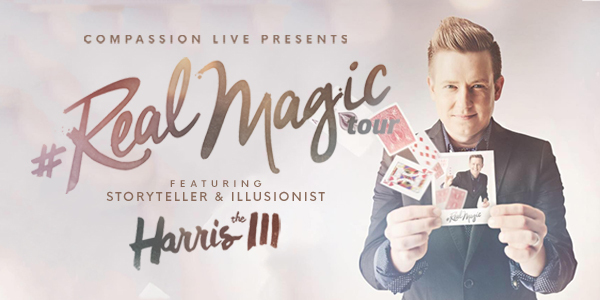 Harris III combines his love for sleight of hand with his love for the Lord to create a show that reaches to the heart of the unbeliever!